Skiers and snowboarders can test their skills on terrain used at the 2010 Olympic Winter Games. The Whistler Blackcomb Ski Resort in British Columbia, Canada, packs a powerful punch. 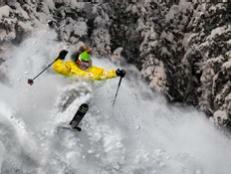 It offers two of the biggest vertical ski drops in North America. Blackcomb Mountain stretches 5,280 ft. and Whistler Mountain reaches 5020 feet. 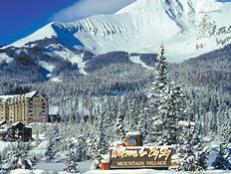 The resort features 8,100 skiable acres, 12 alpine bowls, 38 lifts and some 200 trails. The Village of Whistler offers an array of options for shopping and dining. The resort combines rich vistas from high up in Canada's Coast Mountain Range located about 80 miles north of Vancouver. 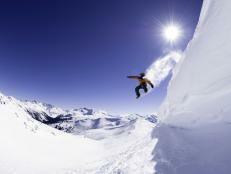 Skiers and snowboarders can test their skills on terrain used at the 2010 Olympic Winter Games. They include the Dave Murray Downhill, named after the Canadian downhill skier from the 1970s and 1980s. Skiers can ride the unique Peak 2 Peak gondola which was built in December 2008 and which connects the Whistler and Blackcomb summits, a distance of just over two miles. Whistler Black comb claims it is the longest lift in North America. Blackcomb Mountain is open until late May, allowing visitors to enjoy skiing in the morning followed by a round of golf in the afternoon on one of four championship style courses designed by such golfing legends as Jack Nicklaus and Arnold Palmer. Three are located at the resort. Accommodations at the resort are available in the Upper Village, Village North, Whistler Creekside, Whistler Valley and Whistler Village. Luxury accommodations include the Four Seasons Resort and Fairmont Chateau within walking distance of the resorts and the nearby Nita Lake Lodge. Bunk on the cheap at Hostelling International in Whistler. It’s one of the few inexpensive lodging options, but is nestled in one of the nicest locations: the south edge of Alta Lake just miles from the resort. There are 17 restaurants on the Whistler Blackcomb Mountain, including two on-mountain lodges that can hold over 1,000 hungry skiers and boarders. The bars and grills at the base of the mountain offer sit-down dining and are popular destinations for après ski. For off-mountain dining options, Whistler has more than 100 restaurants offering menus that feature foods from around the world including Spanish, Mexican, Chinese, Japanese, Greek, Indian and Korean cuisines. 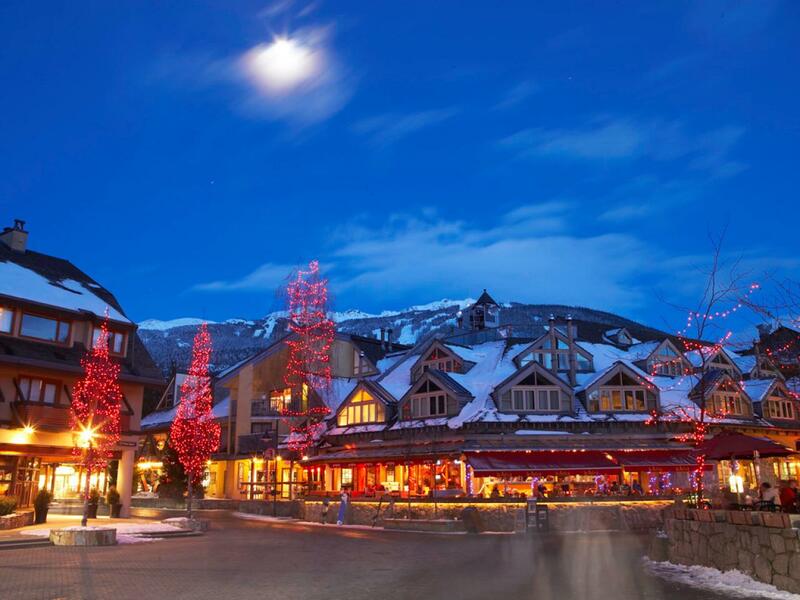 Whistler Village is also a shopper’s paradise where stores offer the latest in equipment and fashion. Retail shops sell such equipment brands as Rossignol, Salomon, Spyder, K2, The North Face, Burton and Quicksilver. Mountain activities aren’t reserved for skiers and boarders only. Explore the Whistler Blackcomb terrain via a Ziptrek Ecotour, a 3-hour adventure traversing cables and suspension bridges. Other heart-pumping activities include dogsledding, snowshoeing, sleigh rides, helicopter and snowcat tours, and tubing. 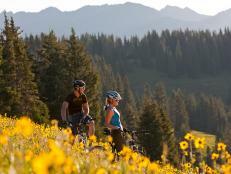 Contact the Whistler Blackcomb Reservations team (1 (888) 767-1248) before booking your trip. The staff is friendly and happy to help identify the mountain’s hottest deals for lodging, lift tickets, airfare and specialty excursions. Many of the hotels and resorts have on-site spas. The Scandinave Spa at Whistler offers the cleansing and rejuvenating experience of soaking in Scandinavian baths and relaxing in a wood-burning sauna. The sits on three acres of land, boasting 13 massage rooms, a health bistro, eucalyptus steam baths, Nordic waterfalls, hot baths, cold plunges and an outdoor fireplace. From slope-side speakeasies to village bars, there’s an après-ski spot for every skier and boarder. 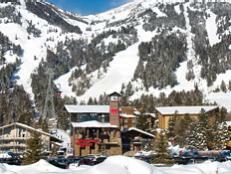 Three are located at the mountains’ bases: Merlins, Garibaldi Lift Co., and Dusty’s BBQ. The crowds at Garibaldi’s tends to be big and rowdy; choose the skier in your party whose legs are most tired to arrive early if you want to score a table, especially one near the roaring fireplace. Whistler Blackcomb can see its fair share of rain. Be prepared for some wet conditions. And book your spa appointment on a rainy day. 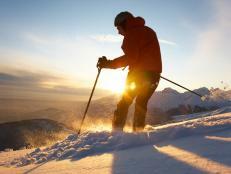 Enjoy luxury skiing at Colorado's Beaver Creek. In the wilds of Wyoming, skiing is more important than shopping, fine dining and luxury accommodations. Located about 50 miles northwest of Yellowstone National Park, Big Sky, Montana offers majestic views and magnificent runs. 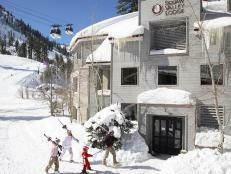 Squaw Valley Alpine Meadows offers thrill-seekers 6,000 skiable acres. From easy slopes to challenging bowls, there's something for the entire family. 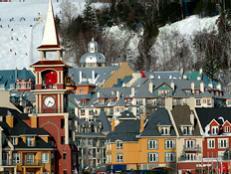 Beautiful skiing combined with the joie de vivre of Quebec's French heritage, minus the cost of a trans-Atlantic flight. Check out these 3 resort towns that are serving up sustainable eats and local spirits whose quality rises far above your typical ski-lodge and bar-food fare. 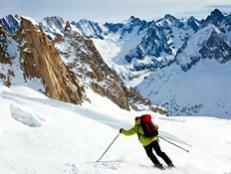 Chamonix, France, site of the first Winter Games in 1924, has some of the most rugged in Europe. Professional snowboarder Leslie Glenn's top snowboarding spots. 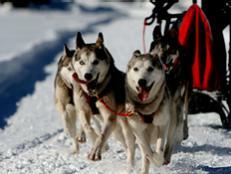 During the winter months, a variety of outfitters offer dog-sledding experiences for all to enjoy.